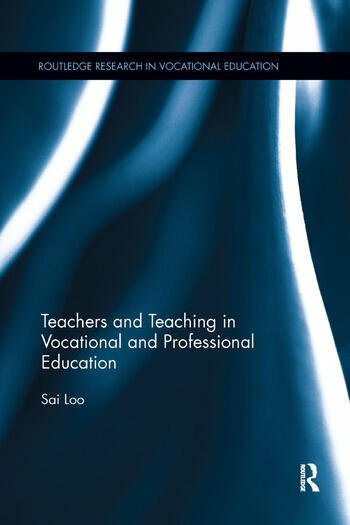 Teachers and Teaching in Vocational and Professional Education introduces a critical understanding of how teachers deliver occupational or vocational courses at various academic levels. Including wider coverage of work-related programmes and based on empirical research, this book uses the term occupation-related to refer to programmes spanning several academic levels and education sectors, including the further and higher education sectors. The book disassociates the English context of work-related studies, where issues of the academic-vocational division and socio-cultural dimensions have hampered critical investigations of this under-researched topic. Also, it offers a conceptual framework from the perspectives of teachers in their teaching and work-related settings derived from the understanding and development of Bernstein’s recontextualization process. Teachers and Teaching in Vocational and Professional Education will be of great interest to academics, researchers and postgraduates who are engaged in the study of education and occupation-related programmes. The programme areas include accounting, dental hygiene, equine studies, fashion and textiles, health and social care, medical training of clinicians and emergency medicine, and travel and tourism. Sai Loo is an academic at UCL Institute of Education, University College London. His recent publications include Creative Working in the Knowledge Economy and Vocationalism in Further and Higher Education: Policy, Programmes and Pedagogy.